A complete additive solution system for: sewage and septic tanks, leach lines, leach fields and ponds of all kinds and sizes. A green complete cost effective waste water additive concentrate for industrial, commercial and home use. Can restore older and slow draining systems to like new in as little as 120 days or less. Will break down even the thickest slug deposits that are forming and / or clogging up the system including the leach lines, fields and / or pond, opens and permeates the clogged ground that is preventing them from draining properly while also breaking down the waste to the point it is safe for the environment and water aquifers. 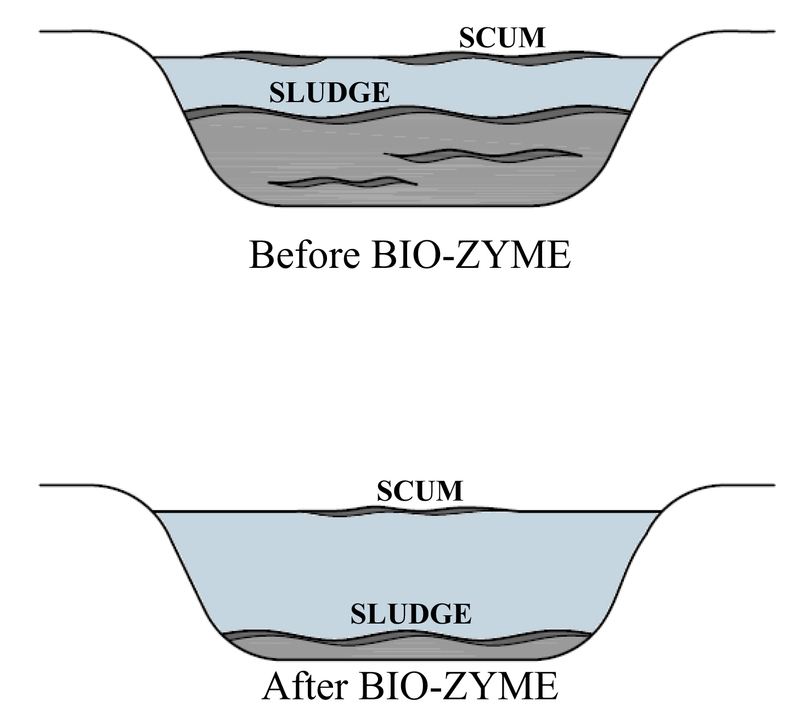 Can be used as an effective green solution in waste treatment plants where slug build up occurs from the many product dumped down the drains today that damage or retard the normal enzymes used today. Reduces system maintenance cost unlike any other product or system additives. Aggressively attacks the slug that can build up even in waste water treatment systems, destroying the contents and slug buildup that over time has to be removed and taken to a special landfill. Bio-Zyme is you solution to pollution. Why dispose of materials in a land fill when you can eliminate them from the environment? The complete Bio-Zyme system can even be installed so there is no guess work, everything is automated. Can even help with opening slow running draining lines in facilities without the use of harsh and toxic chemicals that will normally damage other enzyme products.